Whether you are veteran to fleet management or are just starting out, there is always a way to improve your management style, and at FleetServ, we are here to help you find your stride. 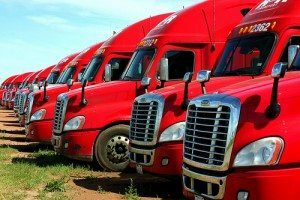 Managing a fleet can be difficult work, but if you keep these tips in mind, your fleet will be in top form, all year round. An effective fleet relies on an effective fueling policy, and that means you need to put a policy together if you don’t already have one in place. This policy should determine the kind of fuel that is purchased, monitor those purchases, and have a system in place for breaches. Be sure to keep your employees informed of all fuel policies so they can help your company save money. Every vehicle is prone to particular problems, so be sure you are up to date on all of your vehicles so you can get preventative measures in place. Preventative care is always cheaper than fixing a big problem down the line, so get to know your vehicles and get a good preventative care system in place to prevent problems in the future. Compliance with state and federal regulations will help you to be more successful and to avoid hassles along the way. Learning to comply can be difficult on your own, but with the help of the experts at FleetServ, compliance is a breeze. Make sure that compliance is a priority for every one of your vehicles! Visit FleetServ today to get on top of your compliance and make fleet management much simpler!